SEMA were referring to the new CDM regulations that were announced in April 2015 and came into force in February 2016. More than ever, these new regulations mean that SEMA approved inspectors are vital to your warehouse’s safety. Euclid in your warehouse: Why do SEMA approved inspectors need to understand mathematics? “Wait, is maths even a science?” might be the first question you will ask upon reading this. The best answer to that question is “maybe”, but it’s not the sort of philosophical quandary which affects the day to day life of a SARI. Rather, what a SARI is concerned with is whether the measurements of a piece of racking equipment match up with what SEMA and HSE deem as safe. One of the many things that racking inspectors are looking for when they perform a racking inspection is how bent a piece of racking is. If the bend is obvious, then that spells trouble. However, less obvious bends require measurement and an understanding of mathematics is needed to figure out whether or not the bend is a serious one or not. Einstein in your warehouse: Why do SEMA approved inspectors need to understand physics? The way metals interact with each other in a warehouse, the way one racking beam interacts with the whole storage system and the way loads interact with each other on a pallet racking system are all examples of times where an understanding of physics can be helpful. Your average SARI is not going to be helping you to travel through time anytime soon, but they do need to understand some of the main rules. Weight is potential energy, and if a SARI does not respect that fact then that potential energy could cause an actual disaster. Al Gore in your warehouse: Why do SEMA approved inspectors need to understand environmental science? There is a strong correlation between how safe a business is and how sustainable a business is. For this reason, understanding environmental science can be extremely helpful for improving business safety. With regards to staff, safety and sustainability in the workplace both mean respect for your environment. In other words, being a safe employee means respecting the warehouse environment. And if they respect the warehouse environment, then they are more likely to respect the wider environment. With regards to management, sustainability and safety both require long-term planning, attention to detail, and diligence. All of this equates to less accidents, less needless waste, and a safer, more sustainable, more profitable business. Long-term planning is key here. Both safety enthusiasts and environmental enthusiasts know that results can take a long time to manifest themselves. Sometimes it is as much about raising awareness and creating a culture of safety and sustainability as it is about implementing protocols. Safety expert Aishwarya Nair agrees and also argues that sustainability should be a core value in all businesses alongside safety. The two work well together, and so any knowledge of environmental science can be extremely helpful to SEMA approved inspectors. Socrates in your warehouse: Why do SEMA approved inspectors need to understand philosophy? 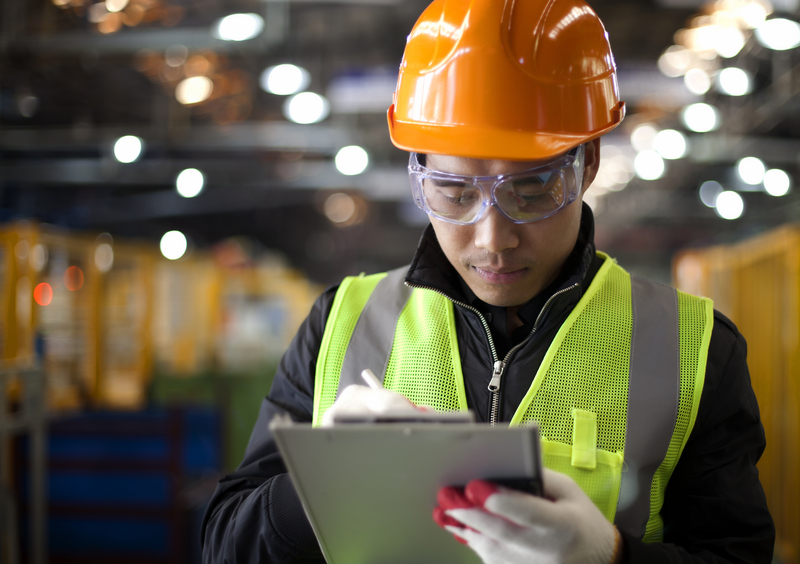 Philosophy is about asking big questions, and the biggest question in warehouse safety is one which requires a bit of philosophical pondering: is a zero-accident workplace possible? We believe that it is, but we didn’t arrive at that conclusion on a whim. We have considered the question of the “zero-accident workplace” before and not everyone feels the same way. So while Matt Grierson, SEMA’s president, argues that zero accident workplaces should be the main goal, the EU see it as “more of a way of thinking than a numerical goal”. This is definitely philosophical territory, and so it is worth explaining why we believe that SEMA approved inspectors should be aiming for zero accidents as a numerical goal. Everything seems impossible until it’s done. We rid the world of smallpox deaths in 1979, we rid the whole of the Americas of rubella in 2015, and we are close to eradicating malaria from the whole of Europe. It would have been easy to think that, “some people are bound to die of smallpox”. However, the facts bear it out; nobody dies of smallpox anymore. The zero accident workplace is a big philosophical commitment, but this value theory affects the way we do business at Storage Equipment Experts. We believe in a zero accident workplace and it moves us forward. Freud in your warehouse: Why do SEMA approved inspectors need to understand psychology? As we mentioned before in a previous blog post, the British government are currently looking into how psychology can affect workplace safety. The Health and Safety Laboratory’s argument, essentially, is that employees with the wrong kind of mental state are more likely to involve themselves in accidents. This theory makes sense. If you have no respect for your employer and have little regard for yourself, why would you care about safety? Under the right supervision, employees can develop a positive work ethic which will help to make them safer employees. Understanding workplace psychology means understanding the value of respecting your employees. There are ways to show your staff that they are respected and valued, but one of the best ways is through pallet racking inspection training. Training of any kind helps employees to feel like they are being invested in, but our rack inspection training course has the added benefit of teaching employees about racking and warehouse safety as well. Science and safety are complex disciplines that come in many different forms. At Storage Equipment Experts, we know that our knowledge of racking inspections is informed by, and helps to inform, the body of science around it. With our services, we aim to improve both racking inspection safety and the science of racking inspection safety as well. It’s not rocket science! Contact Storage Equipment Experts today for expert racking inspections and rack inspection training from the smartest SARI around!